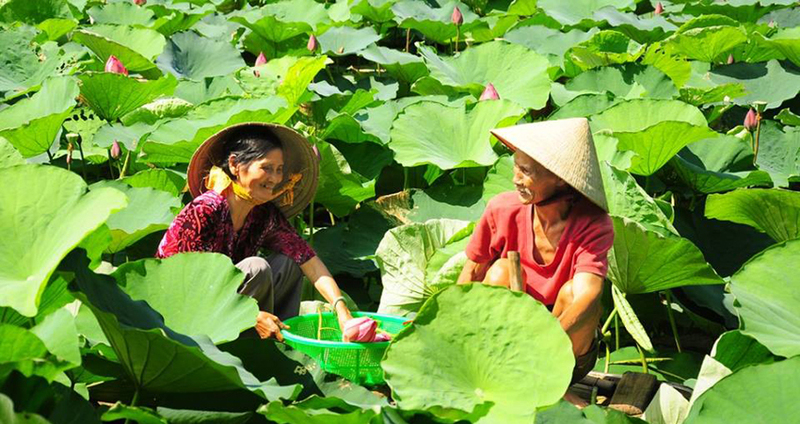 For travellers looking for an entirely comprehensive Vietnam experience, this tour is the perfect choice. Spanning all extremities of the nation, the journey begins in the far north, winds down through the central region and concludes in the south. 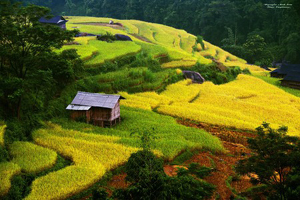 Beginning in the north, experience the heritage and history of the nation in Hanoi before contrasting the experience with water (the UNESCO-celebrated Halong Bay) and mountains (the marvellous hill town of Sapa.) 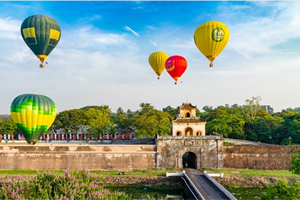 From the north, head to the cultural epicentre of the country in central Vietnam with the former imperial capital of Hue and the ancient, lantern-lit port town of Hoi An. Winding all the way down the coast, spend some time in the Mekong Delta region (exploring the bustling city of Can Tho) before concluding in the southern economic hub of Ho Chi Minh City. 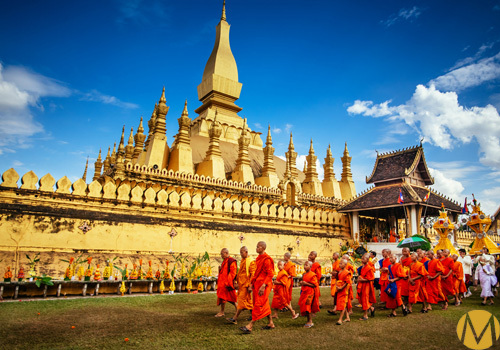 The fully-guided experience is the perfect way to get to know this eclectic and charming Southeast Asian nation. Welcome to Vietnam’s capital city! Upon your arrival at Noi Bai Airport, our guide will meet you (just outside the baggage claim) and transport you to your hotel in the Old Quarter of Hanoi. After getting situated at the hotel, you’ll be brought out into the city center to get acquainted with the sites, streets and surrounding areas. 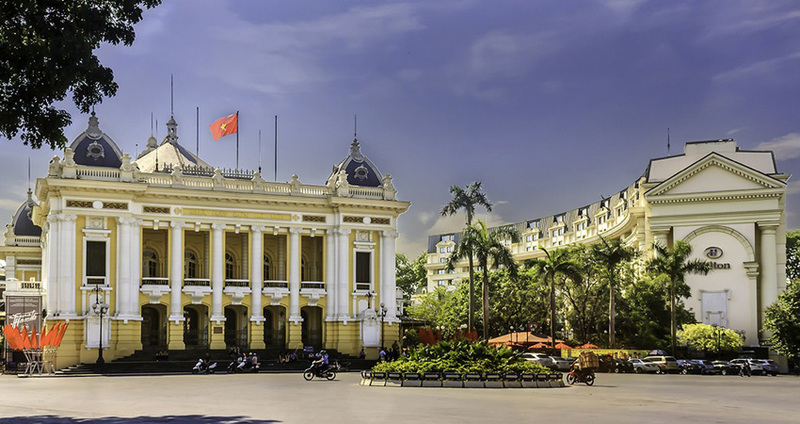 From here we will bring you to some of the Old Quarter’s top attractions including Hoan Kiem Lake, the Ngoc Son Temple and Hanoi’s iconic Opera House. That evening we will take you out for a special meal, where you’ll have the opportunity to sample some of Hanoi’s local specialties. 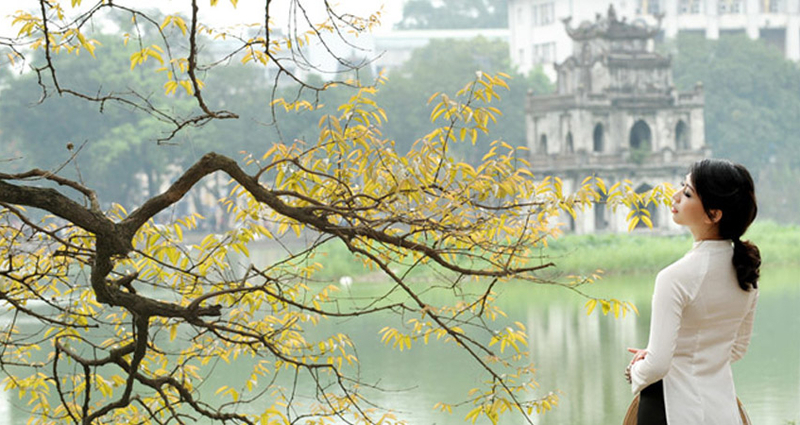 Today you’ll have an entire day to explore the beautiful sites of Hanoi. Starting at the Ho Chi Minh Complex (home to the final resting place of Vietnam’s revered Uncle Ho & his former “house of stilts), moving on to the One Pillar Pagoda, Temple of Literature & Presidential Palace and finally exploring the beautiful Quan Thanh Temple, Tran Quoc Pagoda & tranquil Tay Ho (West Lake) region, the day will be a fantastic overview of what the capital city has to offer. There will also be an option to visit either the Museum of Ethnology (giving guests a glimpse of the country’s various ethnic groups) or Vietnam’s Museum of History; based solely upon your interests. As you wander the tree-lined boulevards, soak in the charming French-style architecture and witness the area’s tranquil landscapes… you’ll be hard pressed to not fall in love with Hanoi! 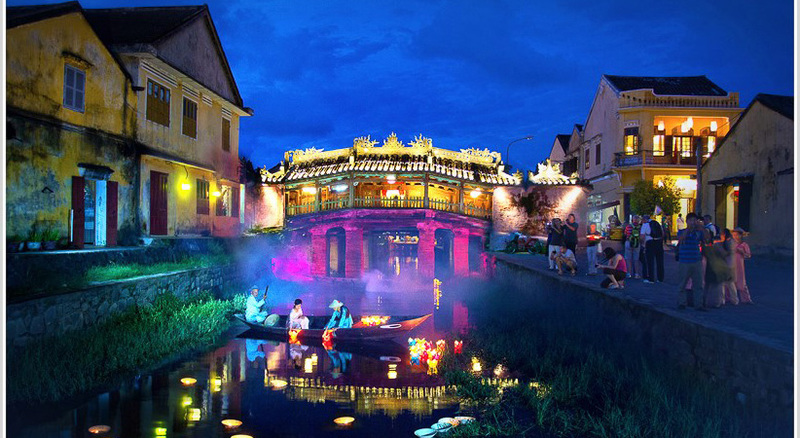 That evening you’ll have the chance to witness a traditional show at the Water Puppet Theatre (one of Vietnam’s oldest forms of entertainment) before heading to the train station to catch your train north to Lao Cai. 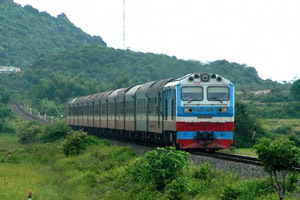 Your train will arrive into Lao Cai Station in the early morning; our guide will be there waiting and will transport you (a 40 kilometer drive) to Sapa. Once in Sapa, you’ll have some time to rest & get situated in your provided hotel; breakfast will be served. 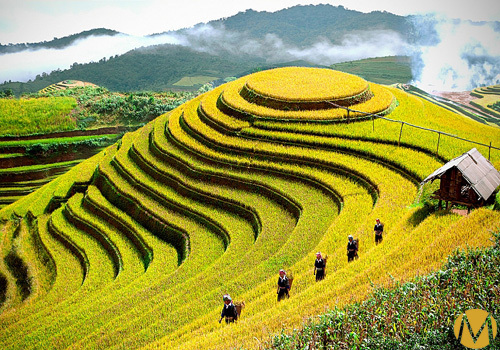 As you settle into Sapa, you’ll quickly realize why this hill station is one of the North’s most popular destinations to visit. Clean, crisp air & ideal temperatures, sprawling mountains and tiered rice paddies- Sapa is a traveler (and photographer’s) dream! In the late morning/early afternoon you’ll be taken on a light mountain trek (2 hours total) through the Cat Cat and Sin Chai Minority Villages, immersing yourself in the iconic landscape and learning about local traditions, customs and daily habits along the way. The rest of the day is open for you to explore Sapa town. 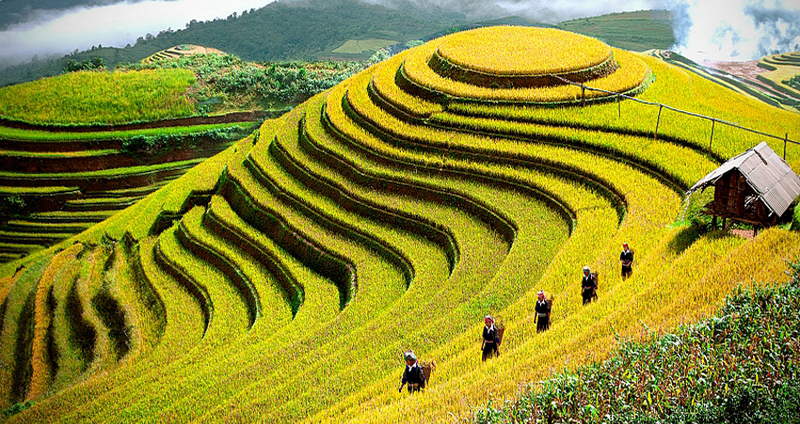 Enjoy a hearty breakfast at the hotel before embarking on a full-day guided trek through Sapa’s idyllic landscape. Guests will have an option as to which trek they’d prefer to take: Light Trek (3 kilometers), Medium (6 kilometers) or Long (12 kilometers). 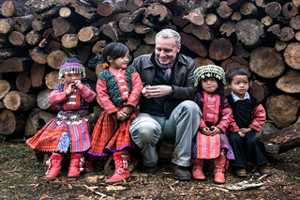 Trekking through Sapa’s villages is an excellent way to get acquainted with not only the landscapes but also the minority groups inhabiting the areas. 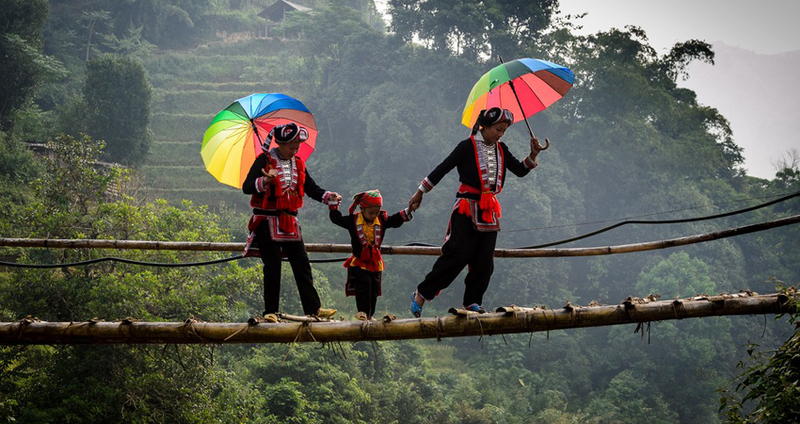 You’ll have the opportunity to meet the H’mong, Dzao & Dzay people during your hike, learning all about their daily lives, traditions and culture. Lunch will be held inside one of the hill tribe’s villages and you’ll be transported back to Sapa- ultimately making your way to Lao Cai for a return train ride back to Hanoi. You will arrive into Hanoi in the early morning where our guide will be waiting to pick you up and bring you out to a local breakfast. 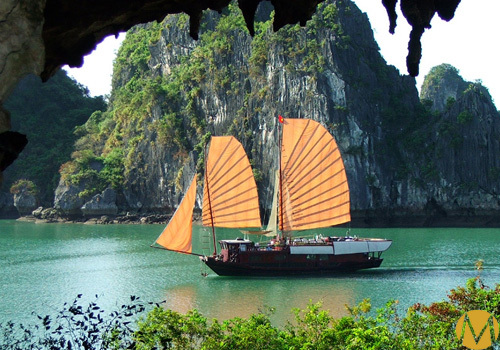 After breakfast you’ll be transported out to Halong Bay (3-4 hour ride). 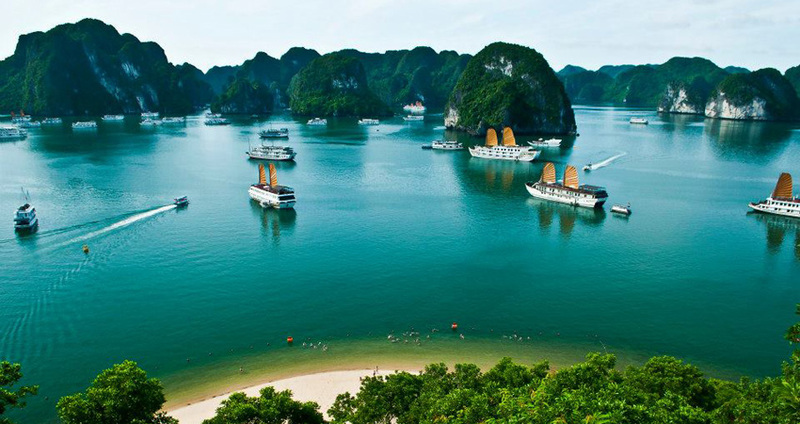 One of Vietnam’s most beautiful destinations, Halong Bay, or the Bay of Descending Dragons, is a UNESCO World Heritage Site famous for its limestone karsts and pristine waterways. Upon arrival into Halong Bay (around noon), you’ll be assigned to your traditional “junk” cruise ship where you’ll be spending the evening & following day. Once on board, you’ll be served a delicious (and super-fresh) seafood lunch as the boat makes its way out into the mystical waters of the bay. In the early afternoon you will be brought to some of the region’s most famous sites including the Dinh Huong & Ga Choi Islands, Thien Cung, Dau Go & Sung Sot Caves (the region’s 3 largest) and a pristine white sand beach where you’ll have the chance to swim in the area’s placid waters (weather permitting). Back on board you’ll be able to catch an unforgettable sunset, enjoy another delicious local meal and watch the stars come out as they saturate the Halong night sky. Allow the lapping of water & the boat’s light rocking to soothe you to sleep in your private cabin. Wake up early to catch the Halong sunrise (not to be missed!) and enjoy some Tai Chi on the top deck of the cruise boat to kick off your Day 6. Enjoy a light beverage before heading out to explore some nearby islands via rowboat. After a brief morning tour you’ll return to the junk for breakfast and have the chance to soak in some last minute limestone karsts along Bai Tu Long Bay. Before you disembark, you’ll be treated to a lovely brunch before our transport picks you up and brings you back to Hanoi. Once arriving at Hanoi’s Noi Bai Airport, you’ll board a quick flight to the central Vietnam city of Hue. Our guide will pick you up in Hue and transport you to your hotel. Today you’ll have the chance to explore Vietnam’s former royal capital. 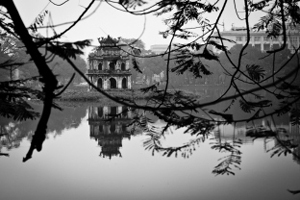 Once home to the Nguyen Dynasty, Hue is most famous for its Forbidden Purple City, or the Imperial Citadel (the Nguyen Dynasty’s private residence). Fashioned after China’s Forbidden City (back in the 19th century), this compounded fortress is home to a number of palaces, houses and temples that once were completely off limits to non-royalty. Our guide will bring you around this iconic site, explaining all the historical facts and destinations along the way. In the afternoon you’ll pay a visit to the Imperial Museum, Tu Hieu Pagoda and Hue’s Cho Dong Ba- the bustling riverside market. 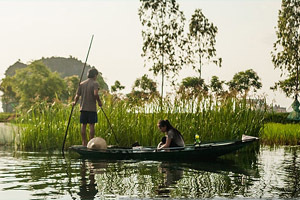 The morning of Day 8 you’ll enjoy a private boat cruise down Hue’s romantic Perfume River. Your guide will bring you through the Thien Mu Pagoda (Lady Pagoda) and ornate tomb of Minh Mang, followed by a memorable lunch along the riverside (at one of our favorite local restaurants). After lunch you will begin your trip south to the Ancient Town of Hoi An, passing Da Nang City and the picturesque Hai Van Pass along the way (one of the country & world’s most beautiful coastal roads… featured in Jeremy Clarkson’s Top Gear!). Stopping off in Da Nang city, you’ll have the chance to visit the Cham Museum (the only of its kind in Asia) and some handicraft villages located at the base of the mythical Marble Mountains. 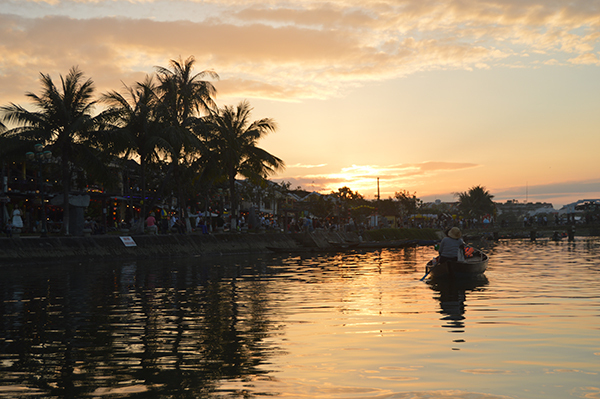 Finally reaching Hoi An, you’ll be transported to your hotel (in the late afternoon), giving you some free time to explore the Ancient Town on your own. The morning of Day 9 you’ll be transported 40 kilometers south of Hoi An to the historic My Son Sanctuary (Vietnam’s version of Cambodia’s Angkor Wat & Thailand’s Ayutthaya). Home to a number of striking Cham temple ruins & statues, this UNESCO World Heritage Site will give you a glimpse into Vietnam’s rich cultural background in connection with the Champa Kingdom. That afternoon you’ll be transported back to Hoi An where you’ll have some more free time to explore the beaches, pedestrian streets & lantern-lit alleys of Hoi An. Feel free to shop, dine, visit the countryside or beaches in Hoi An (always a tourist’s favorite destination!). After enjoying breakfast at the hotel, you’ll be transported back to Da Nang where you’ll board a domestic flight to the southern Vietnam city of Ho Chi Minh (formerly known as Saigon). Arriving late in the morning, you’ll have a chance to explore some of the iconic sites of Vietnam’s largest city as you make your way to your hotel (with private guide & transport). After check in, you’ll have lunch in a buzzing, local restaurant, followed by a fully guided tour through the southern city. Your visit will include the Reunification Palace, War Remnants Museum, Ben Thanh Market, Notre Dame Cathedral & Saigon Post Office, plus a number of other sites along the way. 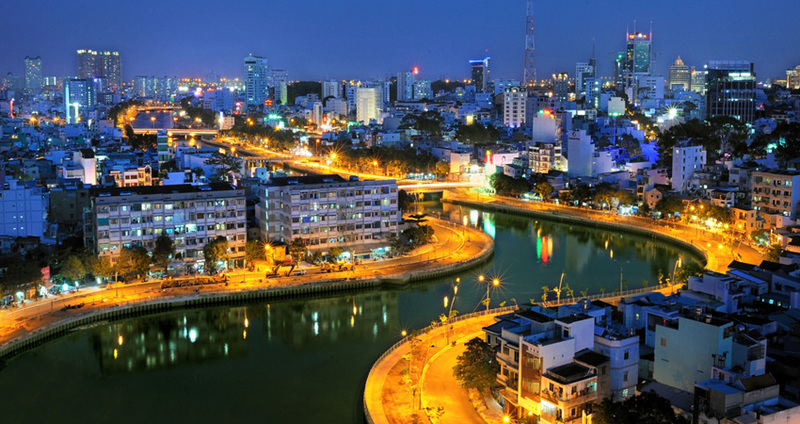 After your guided tour you have the evening to enjoy free time in Ho Chi Minh City. After breakfast at your hotel, you’ll take a short bus ride out to the historic Cu Chi Tunnel Complex. An extensive maze of underground war tunnels, these subterranean hideouts were crucial to the Viet Cong during raids and bombings in the American War. For those who can brave the descent (and don’t mind some serious tight spaces! ), you’ll have the opportunity to actually climb into and around the tunnels to see what life was like for Vietnamese soldiers during the wartime period. After visiting Cu Chi, we will visit Tay Ninh’s beautiful Cao Dai Temple (a stark contrast to the wartime tunnels!) where you can observe or take part in a noontime service. This temple practices Caodaism, a peaceful & hybrid religion that observes nearly all major religions (Buddhism, Confucianism, Christianity, Islam & Hinduism). After taking lunch in Tay Ninh, you will be brought back to Ho Chi Minh City where you’ll have the afternoon free to explore. 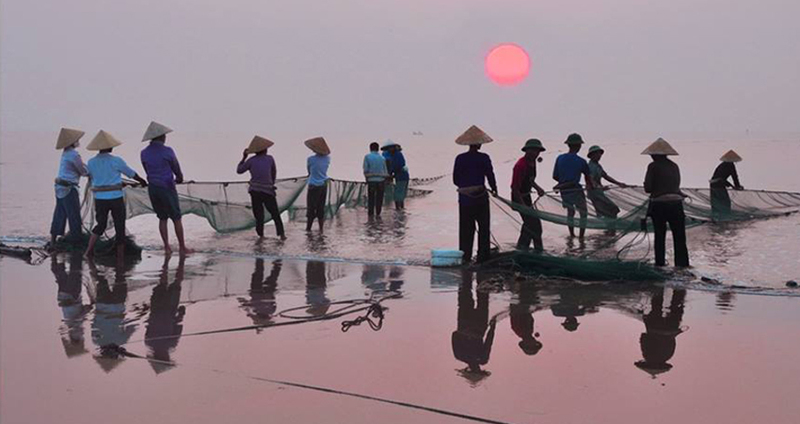 After taking breakfast at the hotel, you’ll begin the ride further south to Vietnam’s Mekong Delta region. You’ll first stop off in the riverside town of Cai Bai, where you’ll visit a local candy factory, fruit orchard and enjoy a beautiful cultural performance. We will have lunch here at a relaxing riverside restaurant before heading out onto the river via motorboat. From the boat you’ll be able to visit some local villages and have the opportunity to bike your way around the countryside. Our driver will meet you at the Vinh Long pier to continue your journey farther south (ending up in Can Tho by nightfall). 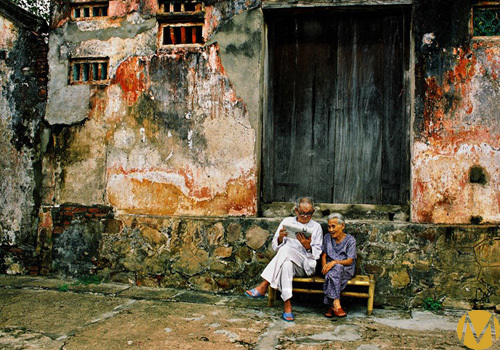 Today you’ll have the chance to explore another of Vietnam’s largest cities: Can Tho. 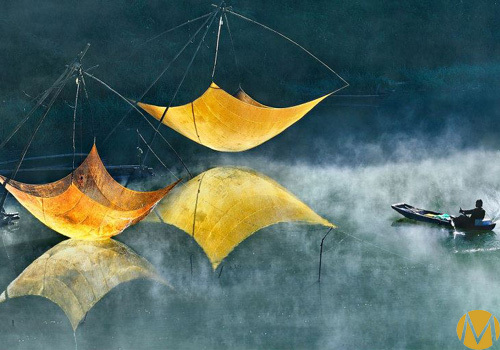 Most famous for its floating markets, you’ll be able to embark on a morning riverboat ride to the iconic Cai Rang floating markets, where locals buy & sell everything from fruits and vegetables to breakfast, coffees and local delicacies. From here you’ll visit a local fruit orchard (where you can sample some of the delicious, exotic fruits), moving deeper into the countryside where you’ll have the chance to meet and greet some of the locals. 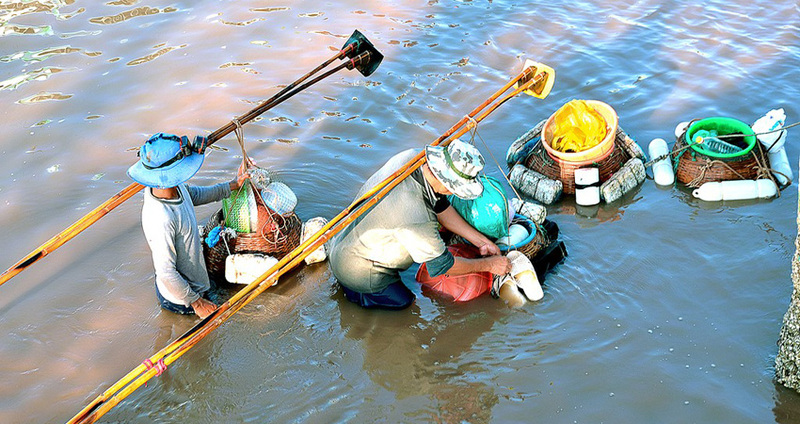 Learn a bit about their daily life & customs before heading back to Can Tho. From Can Tho you’ll start the journey back north to Saigon, arriving to the city in late afternoon. Today you’ll have the chance to explore Ho Chi Minh City one more time. After having breakfast at the hotel you can explore the city, do a bit more sightseeing or get some last minute shopping done before completing the tour. Our driver will transport you to Tan Son Nhat International Airport for your departure/flight back home.